While the mobile industry is still rapidly evolving, efforts to meet essential KPIs and optimize engagement and retention have not. With day-30 retention averaging 7% and cost of acquiring users as high as ever, analytics tools are still providing the basic data to app developers and mobile marketers. When it comes to understanding user engagement, it is evidently clear that something is missing. 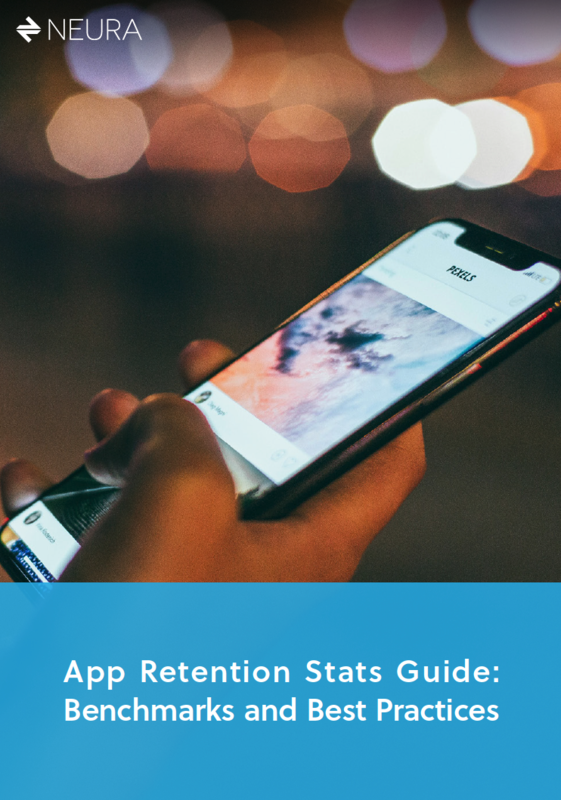 This App Retention Stats Guide contains benchmarks and best practices. See how your app is ranking amongst others in your industry. Use Neura to tune your product's performance to each individual user. By analyzing their real world behavior—who they are & what they are doing—you get the insights needed to increase user retention and engagement and grow your bottom line. Copyright © 2018 Neura, Inc.